Shimla Tourism holds a paramount space in the tourism scenario of India. 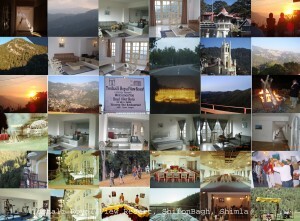 The capital city of Himachal Pradesh is among the most admired places in India for national and international tourists. Shimla was the summer capital of India in the British Raj. British had coined a term for Shimla i.e. the ‘Queen of Hills’, a popular reference for the gorgeous place, even today. In the list of the most beautiful destinations in Himachal, Shimla hill station holds first and foremost rank. Travelers show immense interest in many of Shimla’s spots including Mall Road, Shilon Bagh, Kufri along with The Ridge and The Mall. You can take the pleasure of being at this beautiful place by using excellent Shimla Tour Packages available in the market. 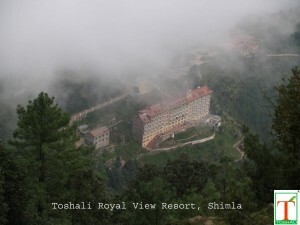 Shimla is among the most important places of Himachal Pradesh, in tourism point of view. The most visited spots in Shimla are the Mall Road, Shilon Bagh, Kufri, Shilon Bagh, The Ridge and The Mall, Christ Church, Jakhu Hill, Shimla State Museum and Summer Hill as well as Annandale play ground and Junga, among others. The hill city has various worth visit temples including Tara Devi, Sankat Mochan and Anand Vilas. The accommodation is not a problem in Shimla as a big variety of hotels is available here, that also as per the suitability of your pocket. Hotel Packages in Shimla let you enjoy the accommodation according to your own budget. Hotels in Shimla range from Cheap to Budget to Luxury, and you are free to choose the best one for yourself from this varied list. The tourists from all over the world come to Shimla to live some precious moments of their lives with the nature’s beautiful destination. Now it’s your turn to visit Shimla and explore the place in your own way. 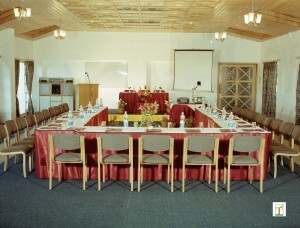 Why Toshali Royal View Resort is The Place for Next Corporate Meet ! 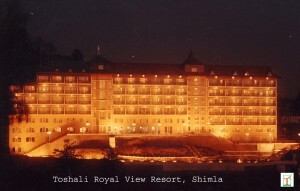 Toshali Royal View resort, has one of the the largest conference centre in Himachal. Located near Shimla, its surrounded by conferous populated hills, reserve forest and acres of greenery, not to overlook the class one technologies available at your beck and call makes it an unique conference destination. Client hospitality or management training, a sales conference or a board meeting – we believe its is all about people. 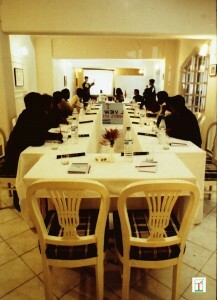 Your delegates need to be relaxed, and fresh to focus on the issues at hand and our focus as such is on the guests. We’ve tried to think about you to create the ambience. We’ve noticed that you notice the little things. So you’ll find cosy, intimate spaces, attention to details that speak of that discerning personal, human touch. A dedicated conference coordinator will be your personal point of contact, able to make all the necessary arrangements both within and without. The Conference Coordinator ensures that the client’s expectations in terms of service, theme, and cuisine are met to the last detail. 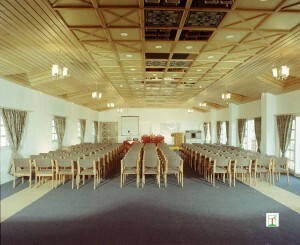 The conference centre can accommodate 200 people. It has – the chamber of prince, chamber of princes, and also a mini hall to cater to board meeting, we have for you audio visual facility, secretarial services, PC and printer hire/usage, telephone, fax, email, etc. The halls have flexible seating arrangements, and can be adapted for small and large groups, either in theatre or classroom style. Fine details of acoustics, sound proofing, adequate ventilation, air conditioning and the maximum use of natural lighting ensure aesthetics and usability. Both the Chamber of Princes and the Chamber of Princess are self-contained with exclusive leisure spaces for serving refreshments. For every event the banquet has a choice of menus for light buffet lunches and breakfast. The staff, will on request, arrange for private dining facilities for those meetings running late. Informal gatherings can ask for bar facilities as well. Any requests for theme based dinners, bar-be-que, and special menus are most welcome. Gama, our fitness centre, is outfitted with sauna, steam and jacuzzi facilities in addition to cardio vascular and weight training equipment. Choose between the table tennis and pool table indoors. For golf enthusiasts, we make arrangements at a course 24 km from the resort. There is a jogging track circling and yes we haven’t forgotten our junior guests while installing play equipments at the resort. The Viceroy restaurant – our multi cusine restaurant serves Indian as well as Continental, Chinese and Mughlai dishes. Our trained chefs cater to individual tastes of our guests on request. And the Head over Heels Bar is well stocked with Indian and foreign liquors and ya the windows overlook the fabulous Shilon Valley, Shimla Region. Even the great poet hailing from the plains knew that the monsoon clouds tarry on hill tops and embrace mountains on its journey North. Poetry apart – Ever walked through a cloud? Walked right through it and got drenched to emerge to an astounding visual symphony of greens and whites and a riot of colours. Ever felt the soothing finger of monsoon rains that seems to make the hills more beautiful. Just be there and out of your window you’ll see the clouds moving from valley to valley, touching its midas finger along the way. When the skies are clear you can see kinnaur kailash in the distance and the Shivaliks too. Feel the freshness of nature with stunningly beautiful views which one can see only during monsoon season. The temperature drops, light wollens are out – walking through mist and fog and clouds are ethereal, a journey into a fantasy world. The natural vegetation comprises of pine, oak, cedar or Himalayan deodar, and rhododendron, as well as maple and horse chestnut. During monsoons, many wild flower species, wild strawberries are abunduntly found in forest. Cobra Plant is plentiful during monsoons. The Britishers introduced non-local trees and flowering and the Weeping Willows, Silver Oak and chestnut have fared remarkably well locally. The nearby Chharabra village, part of Shimla Reserve Forest sanctuary and catchment area provides breathtaking views of the Himalayas and a look at the aforementioned flora and fauna and sometimes a jackal, kakkar (barking deer), the occasional leopard, and bird species like the Himalayan eagle, pheasants, chikor and partridges. 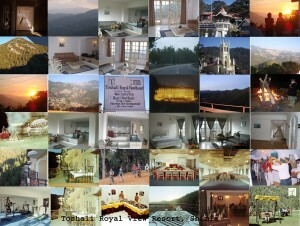 Toshali Royal View Resort is just 24 kms off Shimla on the Chail Khufri road. Its not only the views itself. You can visit the 67-meter high Chadwick Falls. There are some ancient temples near the falls too. The museum and the mall have got so many references I am skipping them. Prospect Hill is another nice place on the Shimla Bilaspur road. 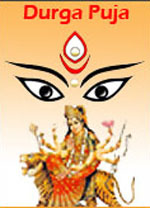 The ancient shrine of Kamma Devi tops the hill. Jakhoo temple is devoted to Lord Hanuman and considered as the highest point in Shimla. Mashobra, a quaint little village offer pleasurable walks in densely wooded areas. During this time the aged Queen of hill stations comes alive in all its glory. And when you return after a tiring trek the warmth of our hospitality will only be matched by the warmth of your steaming cup of tea. Congratulations! Your hotel is highly recommended on TripAdvisor – the world’s largest and most popular travel community which is used by more than 32 million travellers to plan their trip and choose the hotel. We have more than 35 million user reviews and opinions on 500,000+ hotels, attractions & destinations across the world. 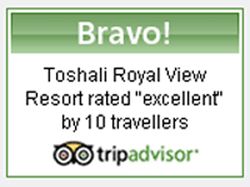 Toshali Royal View Resort has more than 32 reviews giving it a 3.5 out 5 rating! Click here to see your reviews. You can now showcase the great reviews you have by placing the ‘TripAdvisor Bravo Badge’ on your website. – It’s free and easy! – More than 10,000 hotels including WelcomGroup and Fortune display TripAdvisor badges on their websites to showcase their reviews. – Displaying it on your site will help visitors identify you as a highly recommended property on TripAdvisor. We look forward to seeing the badge on your website.